Carlsberg hosts massive 170th birthday bash in Copenhagen and Shah Alam. Carlsberg, Probably the Best Beer in the World, is turning 170 years young this November! Living to its brand promise of delivering Probably the Best experience, Carlsberg figured what better way to celebrate this anniversary than to host Probably the Best Brewery Tour campaign with 20 beer lovers to its homeland in Copenhagen and another 1,800 beer fans to a VIP brewery tour ex-beer-ience in Shah Alam. 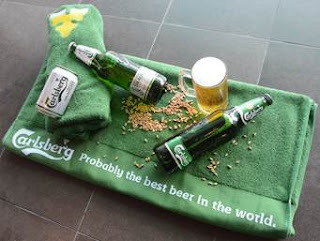 “Carlsberg - Probably the Best Brewery Tour is an integrated marketing campaign launched in conjunction with Carlsberg’s 170th years of beer discoveries as Probably the Best Beer in the World. As a brand, we want to celebrate this momentous milestone with our loyal consumers. Fans who join this tour will get to see, hear, touch, smell and taste the natural quality ingredients of our brews – whether while enjoying the Probably the Best Brewery Tour in Copenhagen or while partying VIP-style in Shah Alam,” Charles Wong, Marketing Director of Carlsberg Malaysia shared. Ten (10) grand prize contest winners will score a 6D5N all-expense paid exclusive trip to explore Carlsberg’s homeland in Copenhagen, Denmark! These winners who get to bring along a friend, will go on an exclusive tour to normally restricted areas of Carlsberg grounds such as the Cellars, the Carlsberg Lab and the Carlsberg Academy. This is a money-can’t-buy opportunity to immerse themselves in the rich heritage of Carlsberg while taking a stroll along the iconic Carlsberg brewhouse, walk in the footsteps of the founder, J.C. Jacobsen, by visiting his family villa, dine at the Carlsberg museum and join the Street Party, which will be held in Carlsberg Byen. What’s more, they will also visit the famous Little Mermaid sculpture by the waterside at Langelinie promenade; the Ny Carlsberg Glyptotek art museum; and the Carlsberg Foundation. Just so you know, all these landmarks have strong connection with the Carlsberg founder, his family, and his profound interest in arts and science. Best Brewhouse where consumers will indulge in beer sensory, pour their own perfect pint, presented with a personalised gift, and a night long of probably the best ex-beer-ience. Of course, it wouldn’t be a birthday party without fun time with friends for a few rounds of games and entertainment. The newly upgraded Probably the Best Lounge is now equipped with iDarts, iPong (electronic beer table tennis) and Karaoke machine. There will be beer- related quizzes that comes with fabulous prizes too. 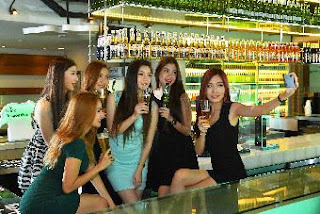 An extra touch of comfort for winners from outside Klang Valley areas – accommodation will be provided for them and their friends at a 4-star hotel just a stone’s-throw away from Probably the Best Brewery. 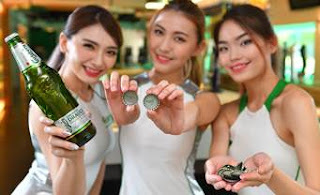 Consumers are required to present a bottle cap with “Carlsberg Malaysia 2017” icon printed underneath it, either from Carlsberg 640ml bottle or Carlsberg Smooth Draught 580ml bottle, from any participating coffee shops, food courts, hawker centres and Chinese restaurant will win the first prize of Probably the Best Brewery Tour for six (6) in Shah Alam. Bottle caps with “Copenhagen 2017” icon is the grand prize of Probably the Best Brewery Tour for two (2) to Copenhagen, Denmark. Consumers who spend a minimum of RM30 on Carlsberg or Carlsberg Smooth Draught in a single receipt at selected bars, pubs, hypermarkets, supermarkets and convenience chain outlets stand a chance to win by answering a simple question via WhatsApp or WeChat. This promotion will run from now up to 31 July 2017. During this promotion period, consumers who collected thirty-six (36) crown corks with “Hop Leaf 2017” icon can redeem a limited- edition Carlsberg bath towel while twelve (12) crown corks with the same icon can redeem a 320ml can of Carlsberg Smooth Draught.